1989 was a big year for sports cards, both in business and in change. The industry was booming, new generation of young players were emerging and a new company entered the fray that changed things forever. Looking back today, there’s more nostalgia than monetary value in 1989 sports cards. And that’s not a bad thing. It was a year that has lots of classic cards that still resonate today. Here are 11 of them. The following cards are all from 1989 sets. Some may have been released initially in late 1988 or in the early 1990 calendar year, but are cataloged as 1989 cards. 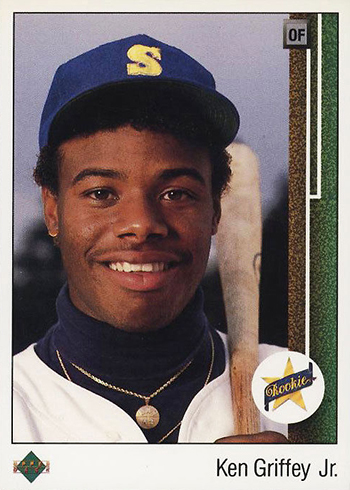 The 1989 Upper Deck Ken Griffey Jr. Rookie Card is bigger than 1989. As far as important baseball cards go, it should easily rank in the top 10 of all-time. Heck, I’d even argue top 3 next to the T206 Honus Wagner and 1952 Topps Mickey Mantle. No, it’s not the most valuable. But it’s symbolic of so many things. First, it helped launch a company that transformed the sports card landscape and pushed what baseball cards could be. It’s the signature card of an era when the hobby reached its highest highs. Oh, yeah, it’s also got the most popular player of the ’90s on the front. The 1989 Fleer Bill Ripken F— Face is the anti 1989 Upper Deck Ken Griffey Jr. It’s like the Garbage Pail Kids equivalent of a baseball card. It’s got a really bad word on it. That scribble on the bat knob caused quite the commotion. In young collectors, it was mostly rebellious glee. Probably for some adults, too. But not all of them. And it’s not the kind of wholesome image baseball and its players generally prefer to show. The 1989 Fleer Bill Ripken has several versions, most of which try to obscure the obscenity. But for casual collectors today, that’s the one that everyone remembers, because, well, it’s got a bad word on a baseball card. 1989 Score Football is one of the most beloved sets of its era. And that takes all sports in to account. A big part of that is its ridiculously deep crop of Rookie Cards. A crop that is headlined by one of the top running backs of all-time, Barry Sanders. 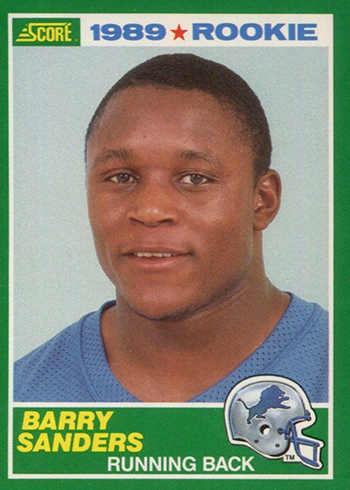 By today’s standards, there’s not a lot that’s fancy about the 1989 Score Barry Sanders. Even the photo is your basic portrait. Besides being the football card set of 1989, Score is also the only release to get Sanders in early. Pro Set didn’t include him until Series 2. His first Topps card came in Topps Traded. That mention of a stacked rookie checklist in 1989 Score? It’s true. 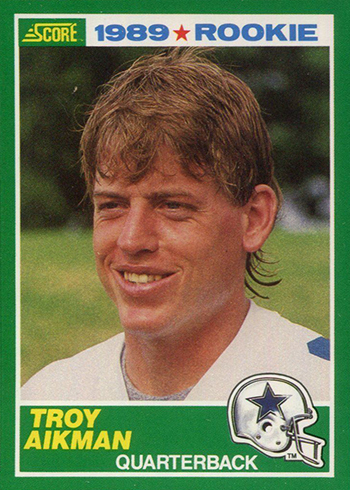 Aikman might not have quite the same prestigious numbers as Sanders but he was the star quarterback for “America’s Team” during the hobby’s boom years and a three-time Super Bowl winner. It’s hard to believe a basketball card world where Michael Jordan wasn’t king. In 1989, Air Jordan was certainly big but it would still be a couple of years before he became the phenom of phenoms. 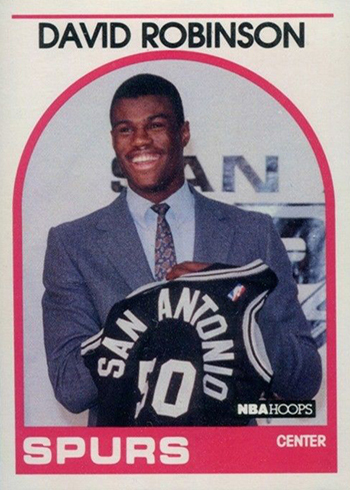 When it came to basketball, collectors were after David Robinson’s first card — and only Rookie Card. It was a coup for Hoops, too, as Fleer didn’t include the 1987 first overall pick in their 1989-90 set. 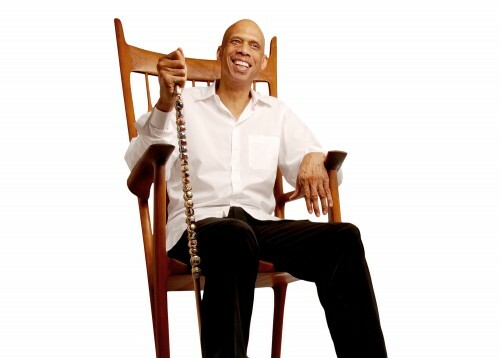 Available only in first series packs, the short print shows Robinson at a press conference. He has a card in the 1989-90 Hoops high series where he’s pictured in action. This card doesn’t have nearly the same prestige or value. When you grow up in O-Pee-Chee country, it seems strange to go with an ’80s Topps hockey card versus its Canadian counterpart. But the fact is, this one’s a little bit more rare and has some added prestige because of it. It’s not an extremely valuable card, nor is it that tough to find but it’s a Rookie Card of one of the greatest players of his generation. 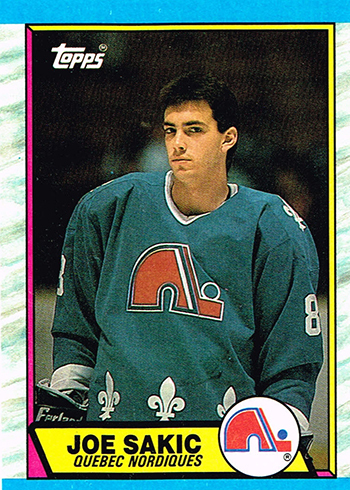 Plus it’s an excuse to admire that gone-too-soon Nordiques jersey. The anti-counterfeit holograms, foil packaging and high-quality glossy color are among 1989 Upper Deck Baseball’s industry-transforming elements. But sometimes innovations just need to wow. 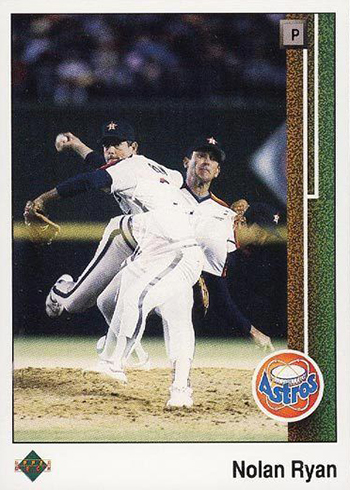 Such is the case of the 1989 Upper Deck Nolan Ryan and its multiple-exposure photo. For most kids, photos like these were reserved for places like the pages of National Geographic or a fancy photography exhibit. 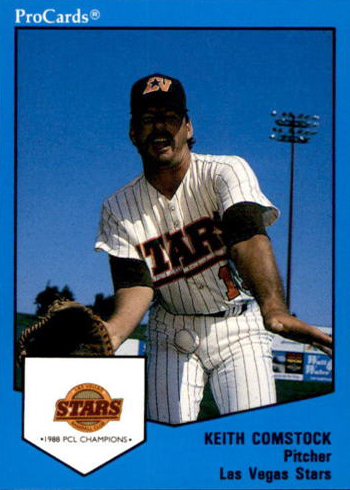 Upper Deck would continue to use multiple exposure cards in their baseball sets for years afterwards. The style also transferred over to other sports, including some surprise variations in 2018-19 Upper Deck Series 1 Hockey. Lots of companies send Christmas cards for the holidays. 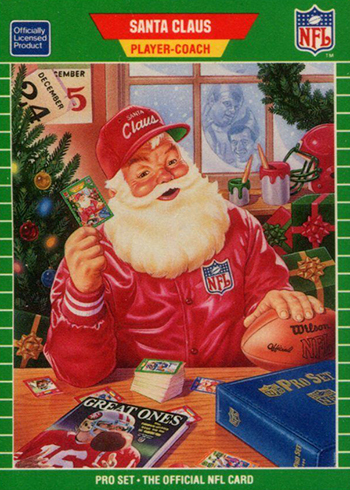 Pro Set included a bit of an extra gift to go with theirs — a Santa Claus football card. It was the first of several St. Nick cards the company would go on to make over the years, although others could be found in packs. This one caused quite the stir back in 1989 as Pro Set limited the cards to dealers and their other connections. That meant it wasn’t available in bulk like pretty much all of their other cards. Those elves peeping through the window? It’s Pro Set owner Ludwell Denny and NFL Commissioner Paul Tagliabue. Denny appears on all of the Pro Set Santa Claus cards. 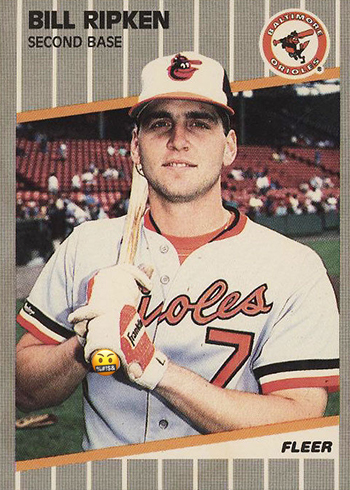 The 1989 Fleer Bill Ripken wasn’t the year’s only “oops” moment. Actually, it was a big year for errors. But some are bigger than others. One of those is the 1989 Upper Deck Dale Murphy Reverse Negative. The image on the card is flipped, giving it a backwards look. But with Murphy blocking much of the writing on the front of his jersey, it’s a mistake that doesn’t jump out. Obviously, because it got through multiple editors and approvals. 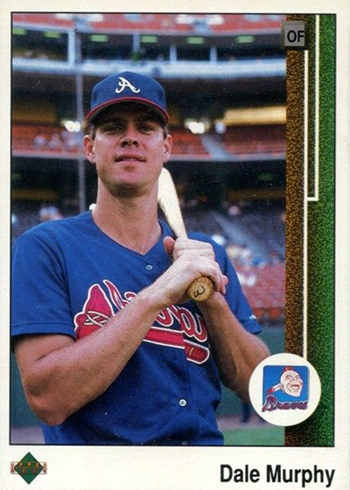 Approximately two percent of the 1989 Upper Deck Dale Murphy cards are reverse negatives. It remains one of the more iconic error cards of all-time. One big-time Murphy fan even went as far as getting the two-time MVP to sign a copy with a backwards signature. Short prints go back to the earliest days of the hobby. From a business perspective, they can be smart as they keep collectors chasing. 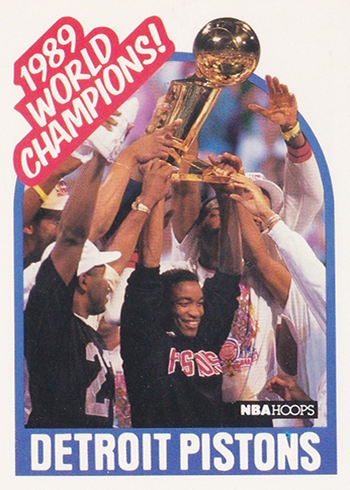 The inaugural Hoops set took from the playbook for a card celebrating the Detroit Pistons and their first World Championship. Available in second series packs, prices soared. They’ve fallen in the years since but the traditional of an SP World Champs card continues in Hoops still today. A different version of #353 was made available by the card maker in response to the card’s rarity. This one has the Pistons logo on the front. If we covet a card because it has a cuss word on it, of course we’re going to laugh at this. Thank you, Mr. Comstock for your sacrifice in the name of low-brow humor. Being a minor league card, this isn’t the easiest to find. And while it doesn’t have the same iconic status as some other 1989 sports cards, it can still fetch a lot more than you might otherwise expect. I have opened a bunch of boxes from the attic that have never been touched from 1983 to 1995 so far I have opened 11 Ken Griffey Jr. rookie cards most untouched 1 Leaf 4 upper deck 4 donrus 2 tops and I have only gone through 1/3 of my cards. any advice? @Joseph – What kind of advice are you looking for? @Joseph, 1st thing get them all out of the attic. it’s too hot up there and it will damage the cards. some of the newer cards you have will stick together. prying them apart is difficult and will damage the surface. i learned the hard way. second, immediately put in penny sleeves and semi-rigid card holder to prevent further damage. and get those prized gems graded.